Morrissey is returning to Newcastle’s Metro Radio Arena in February for what will be his first north east date for almost seven years. His appearance on Friday, February 23, will only be his second date at the venue, his previous visit having been back in December 2006 to promote his eighth solo album, Ringleader of the Tormentors, released in April that year. It will also be the Greater Manchester-born 58-year-old’s first date in the city since then, though he has played two dates elsewhere in the meantime, at the Sunderland Empire in 2008 and Middlesbrough Town Hall in 2011. 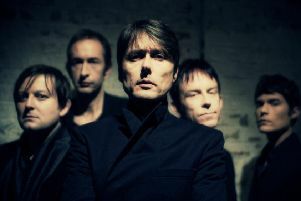 His upcoming arena show will be the former Smiths frontman’s fifth in the city as a solo artist following his 2006 gig there and three at Newcastle City Hall – in 1992, 1995 and 2004. Morrissey is embarking on his first full UK tour since 2015 to showcase tracks from Low in High School, his 11th solo album, due to be released by his own Etienne label, via BMG, on Friday, November 17, as a follow-up to 2014’s World Peace is None of Your Business, a No 2 hit. Tickets for his Metro Radio Arena show cost £38.50, £54.40 or £70. He can also be seen in Leeds, London, Brighton and Birmingham and at Dublin in Ireland and Aberdeen and Glasgow in Scotland. Until just before midnight tonight, October 29, Amazon customers pre-ordering Low in High School can also buy concert tickets before they go on general sale at 10am on Friday, November 3. The 12-track album was recorded at La Fabrique Studios in Saint-Rémy de Provence in France and in Italy, at Ennio Morricone’s Forum Studios in Rome, and was produced by Joe Chiccarelli. All 10 of his solo efforts to date have been top 10 hits, including three chart-toppers – 1988’s Viva Hate, 1994’s Vauxhall and I and Ringleader of the Tormentors – and he’s also hit the top 10 with two compilations – Bona Drag, a No 9 in 1990, and Greatest Hits, a No 5 in 2008. The singer, born Steven Patrick Morrissey in Davyhulme, is also back in the top 10 at the moment, at No 10, with an expanded reissue of the Smiths’ third album, The Queen is Dead, a No 2 hit first time round in 1986.